Whenever I have to go to Delhi, I take the metro. To reach the nearest metro station I have to take an auto. So this is a tale of going to the city, with a little bit of sky thrown in and hence the name ‘Sky and the City!’ I feel so clever today. The story starts with the non-sky bit at the Chhatarpur Metro Station where I was waiting for an arranged pickup to arrive. That really left me almost speechless. I told him I clicked the picture only because I like the colors and there was nothing more to it. He moved on and I moved on, but this is a story that refuses to move on from my mind! I could not figure out what was he afraid of? He was standing near a bus stand but so where scores of other autos, causing the traffic to slow down, almost creating a jam. But he was not alone. He was taking three people in auto but I noticed that other autos too were plying on shared basis and it seemed like a common practice near this metro station. But it was a little reassuring as well to see him scared just because I took a harmless picture! Maybe all is not lost for this city? Moving on to the next story, you can see a bright washed out sky in this picture but I clicked it more for the city than the sky. 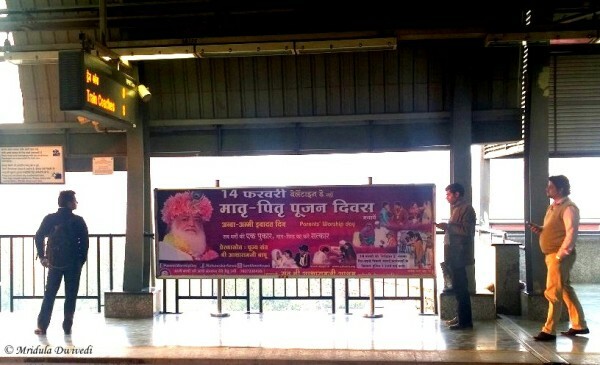 It is a poster that says 14th February should not be celebrated as St. Valentine’s Day in India but as a day when you worship your parents! It really left me speechless for a while, I mean really? We are the land of 3K as well, Khajuraho, Konark and Kamasutra! Do we really need to shy away from the Valentine’s Day as it is against culture? If you wish to replace it I would say replace it with a Khajuraho Day! I could have replaced Khajuraho with another K but then my students read my blog as well, and that is a strong filter for me to decide what I want to say. Finally, here is a bit of sky too, when you had almost given hope. 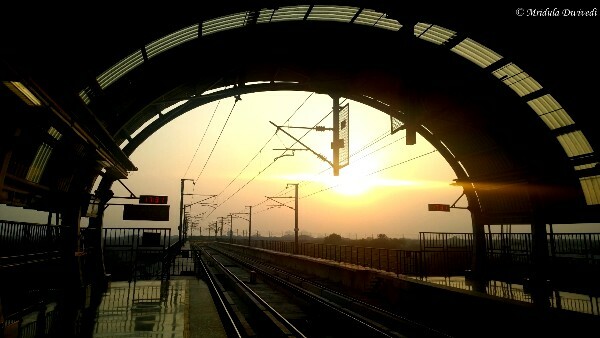 I love it when I get to see the sun going down at a metro station. The setting has so many leading lines, arches and color, all of which make for a good picture. Only, photography is banned at the metro stations, don’t ask me why. I just took a quick cell phone shot and walked off. 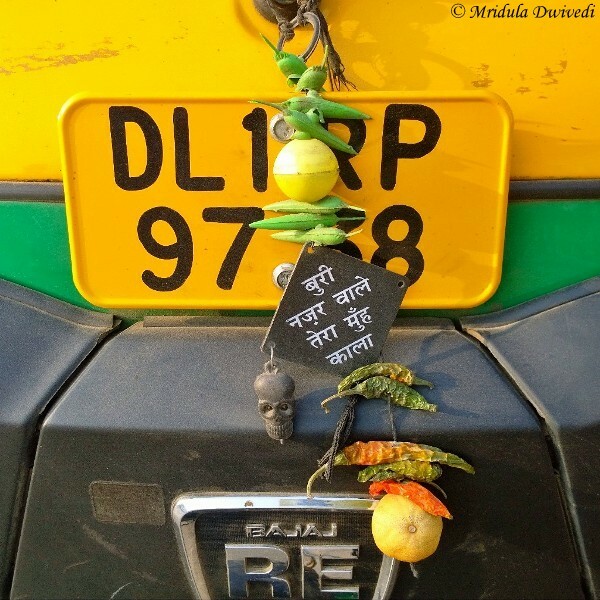 It marked the end of an eventful day but not before I got a maniac for an auto driver before I reached home.